A place to explore ways to use data to guide decision making! For 37 years, Rice University’s “Kinder Houston Area Survey” has been measuring the continuities and changes in the perceptions and experiences of successive representative samples of Harris County adults. Through intensive 30-minute interviews reaching a total of more than 45,000 Houston area residents, the surveys have been tracking systematically the trends in life experiences, attitudes, and beliefs during a period of remarkable economic and demographic change. 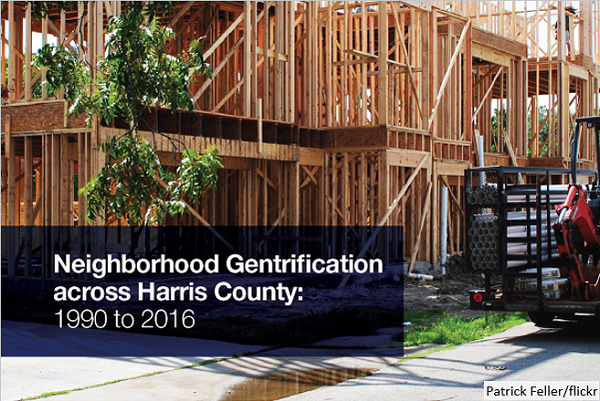 Neighborhood Gentrification across Harris County: 1990 to 2016 New! Houston has been growing fast in the past three decades. With an influx of high-income households, certain low- and moderate-income neighborhoods are experiencing rising housing costs. At the same time, those neighborhoods have seen greater socioeconomic change, particularly in racial composition and educational attainment. This phenomenon, referred to as gentrification, changes both the social character and the built environment of a neighborhood. Though the U.S. economy is doing well in the last few years, a group of young people known as Opportunity Youth and Young Adults (OYYA) continues to lag behind. 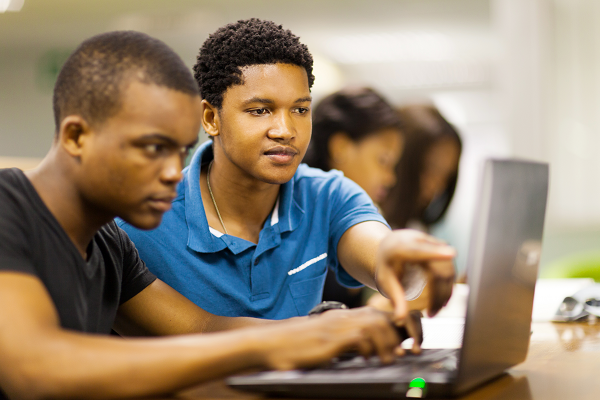 Defined as individuals between the ages of 16 and 24 who are neither employed nor enrolled in school, the OYYA population is growing both nationally and in the Houston area. Tracking Eighth-Graders' Post-Secondary Outcomes in Harris County New! Higher education is becoming increasingly more in demand as it's predicted that by the year 2020, 65 percent of all jobs in the U.S. will require some post-secondary education and training beyond high school. 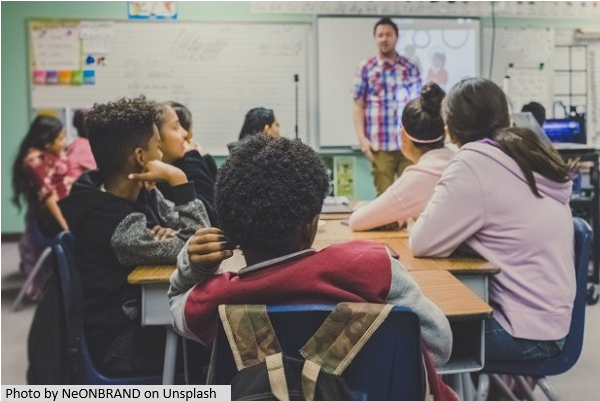 Knowing this, the Houston Education Research Consortium (HERC) used the Houston Community Data Connections platform to track hundreds of thousands of Houston-area students' educational and professional careers for 17 years. In this story board, we highlight the survey participants’ perspectives on the local economy and the impact of Hurricane Harvey, one of the worst rainstorms in American history. We note the growing partisan divides in beliefs about the American future and explore the paradoxical increase in the belief, despite well-documented realities, that a high school diploma is sufficient to be successful in today’s economy. In many cities, development is shaped by zoning laws and follows a clear pattern determined by those systems. In Houston, growth is primarily driven by private subdivision development. This Story Map illustrates the urban growth within the region using diachronic maps of Harris and Fort Bend counties between 1950 and 2015 that were constructed from an analysis of subdivision plat data. 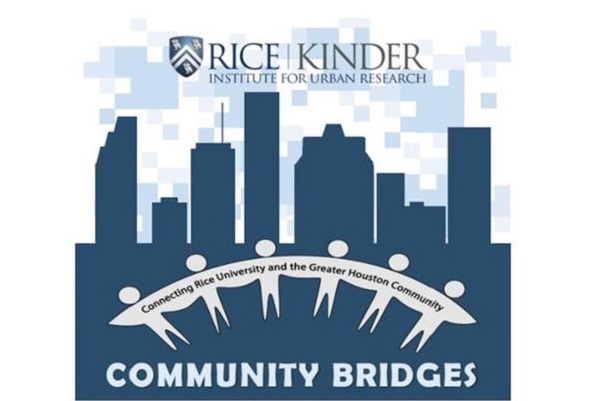 The Community Bridges program is a year-long, experiential learning program for undergraduate students at Rice University. It pairs academic study with active fieldwork to address urban inequality and poverty issues. The program works with a variety of community partners in the Greater Houston area. Click to view selected student projects from previous years. 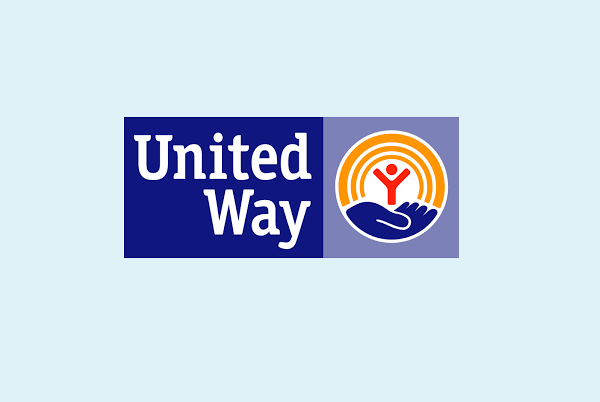 2-1-1 is a free helpline operated by United Way of Greater Houston 24 hours a day, 7 days a week in many languages. With harvey-related 211 call data between August 28 and October 10, we created the dashboard to show the distribution of harvey-related 2-1-1 calls across Harris County area, major needs as well as many other interesting patterns. Click to explore the data. As community groups canvass neighborhoods door to door to determine what actually happened when Harvey's record-breaking rain fell across the region, newly available data from the Federal Emergency Management Agency reveals where some of the highest impacts were recorded, capturing everything from home and car damage to food and shelter needs. Drawing from numerous data sources, researchers at the Kinder Institute have conducted analysis and created an interactive story map to present the information of estimated damages caused by Hurricane Harvey. The Story Map provides the community with Harvey-related data including estimated economic cost of the storm; rainfall estimates; most affected neighborhoods; location, age and building type of likely affected homes; demographic characteristics of the affected population; and the affected schools’ information. 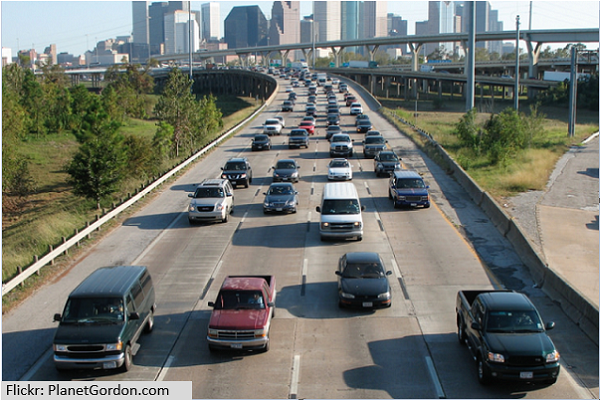 The metropolitan Houston area has enjoyed tremendous population and economic growth in recent decades. From 1980 to 2010, the population of Harris County increased by 70 percent while the region grew as an international economic center for both the energy and medical industries. Despite this boom, these decades also saw an increase in concentrated poverty. Disparate City offers a view into the changing nature and geography of poverty and affluence in greater Houston over time. The community tabulation areas (CTAs) developed by the Kinder Institute are designed to serve as approximations of neighborhoods, based specifically on census geographic boundaries. Check to see how the Kinder Institute delineated the CTA boundaries. Today in Houston, the supply of multi-family properties and townhouses is growing faster than the stock of single-family detached homes. How is that changing the fabric of a city largely built around the automobile? 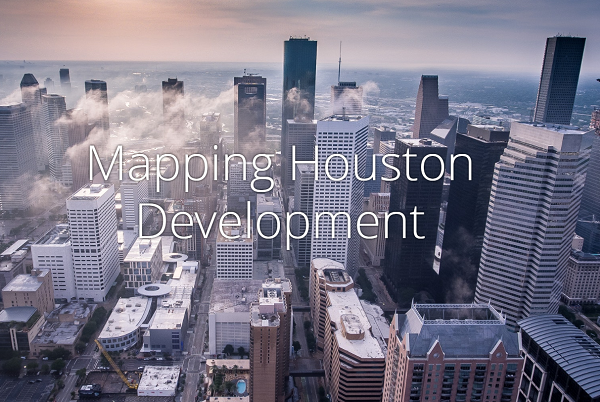 Taking Stock guides users through the changes to Houston’s housing stock between 2005 and 2015. Stay Tuned! More Stories Coming Soon!